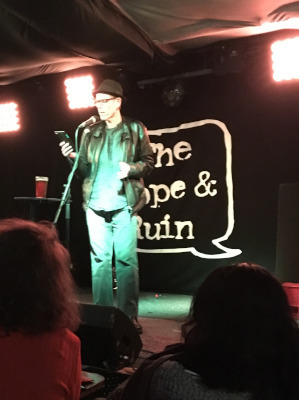 A recording of my Hi Zero reading can be heard on SoundCloud. Short poetry film by Caroline Clark & Harriet Holman Penney, up on YouTube now. Harriet's video for The Rheingans Sisters can also be viewed there. This tremendous short film by Paul Lambert, whose photographs are an integral part of Tara Morgana, is available to watch on Vimeo. 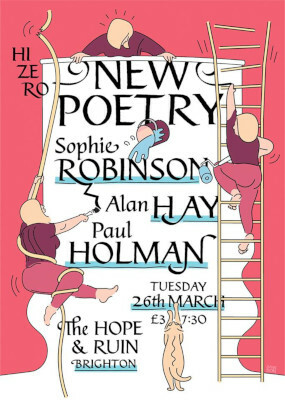 I will be reading with Sophie Robinson & Alan Hay at Hi Zero #69, upstairs at the Hope & Ruin, 11-12 Queens Rd, Brighton on Tuesday 26 March. Doors 7:30pm for an 8:00pm start. £3 on the door. 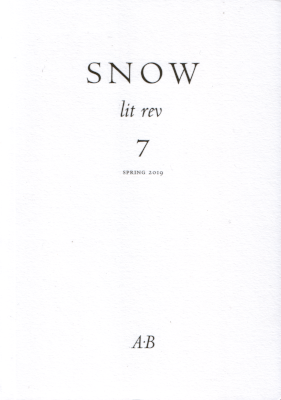 The first three sections of the book upon which I’m currently working are included, alongside some quite breathtaking material, in SNOW lit rev 7: details of the publication, & of previous issues, can be found here. Here is the text of my talk on the opening section of Bill Griffiths’ “A Hymn of the Boy Jesus and his Sister Ayesha”, given as part of “What I Want to Set is Language”: a Close-Reading Workshop on Bill Griffiths, held at Birkbeck, University of London, on 14 December 2018.